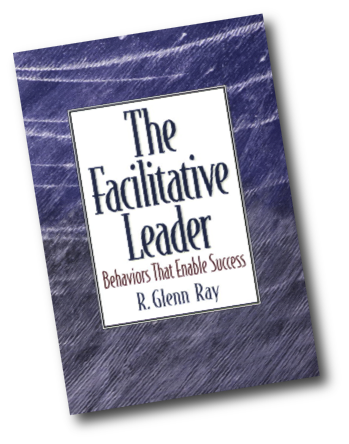 The Facilitative Leader: Behaviors that Enable Success was written for a leaders of all levels of organizations. Other audiences include organizational trainers and human resource managers. It describes professional classes in leadership, change, communication, teambuilding, and problem solving. Humorous and illustrative stories are employed to make significant points throughout the book. The book best serves these audiences if the reader focuses on creating a personal development plan with specific behavioral goals. The contents of the book could be used as a model for organization development through improved employee leadership behaviors. "You can't go wrong with any of the advice in this book but you can go further than you ever thought possible in your professional and personal life." "Ray's book belongs on the desk of every manager who professes a sincere interest in promoting positive change by developing more effective personal leadership and communication skills." "The personal stories from the author were very beneficial in helping me look at and use my everyday experiences as learning and training tools." "Useful serious information, yet fun to read. What a refreshing approach!" "Enabler is the key theme throughout the text, because the facilitative leader uses influence rather than direct power to bring about change and achieve results. " "This would make an excellent resource to build a corporate leadership orientation program around, especially at the new supervisor level." Ray, R. G. (2013). The Facilitative Leader: Behaviors that enable success. Little Hocking, OH: RayCom Learning.